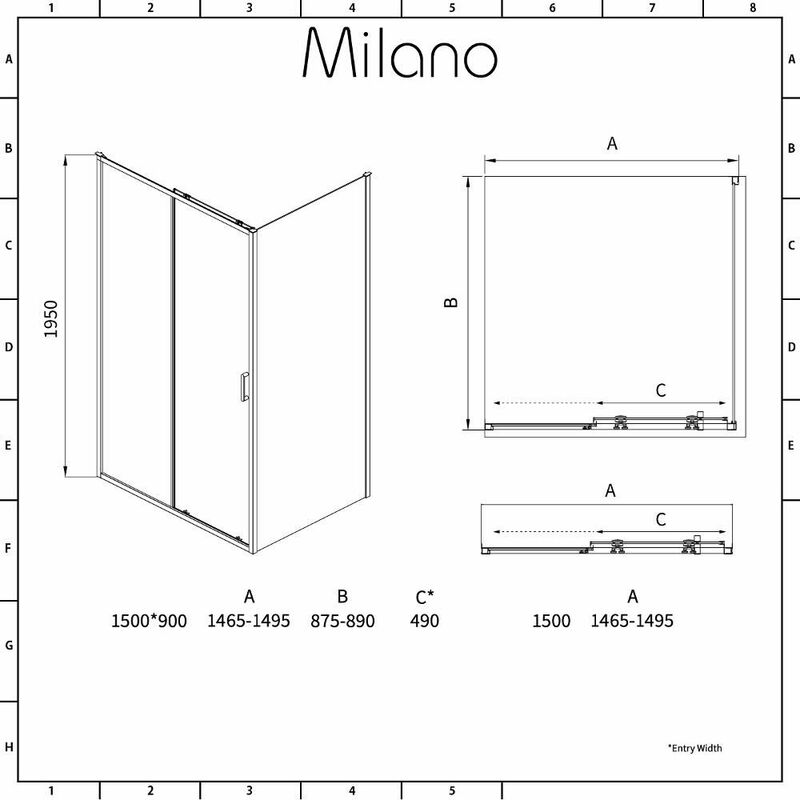 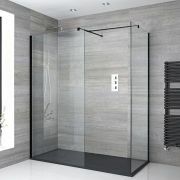 Featuring a black frame finish, the Milano Nero 1500mm sliding shower door complete with 900mm side panel and slate effect shower tray, is a great option for adding smart, designer style to any bathroom or en-suite. 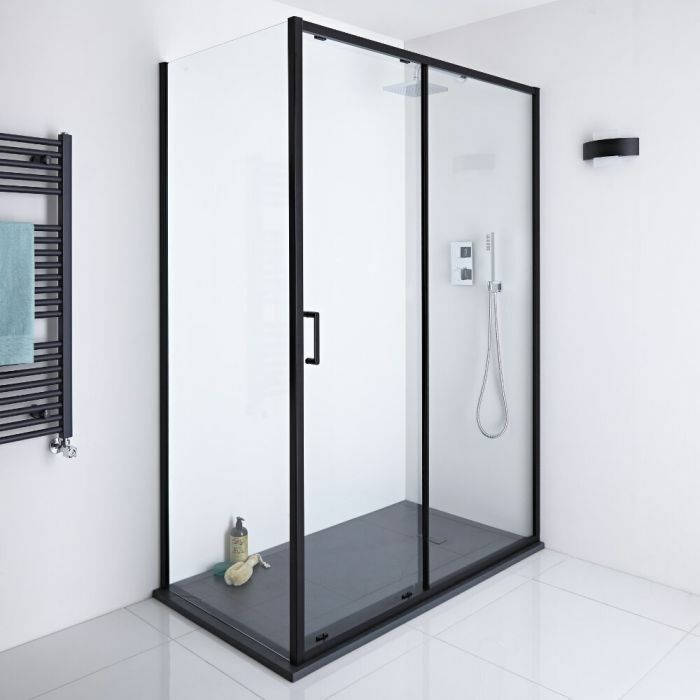 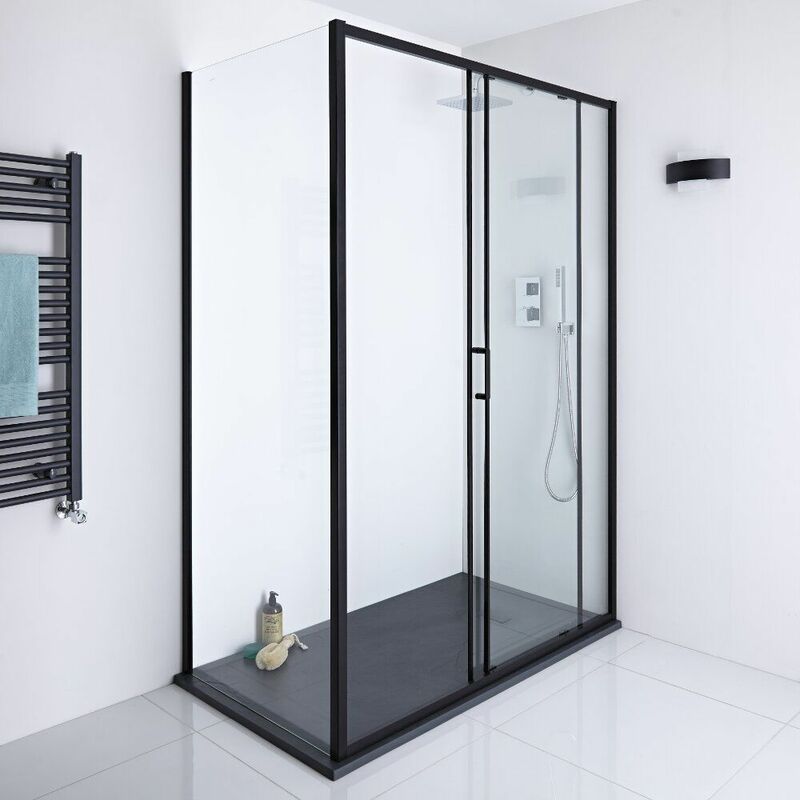 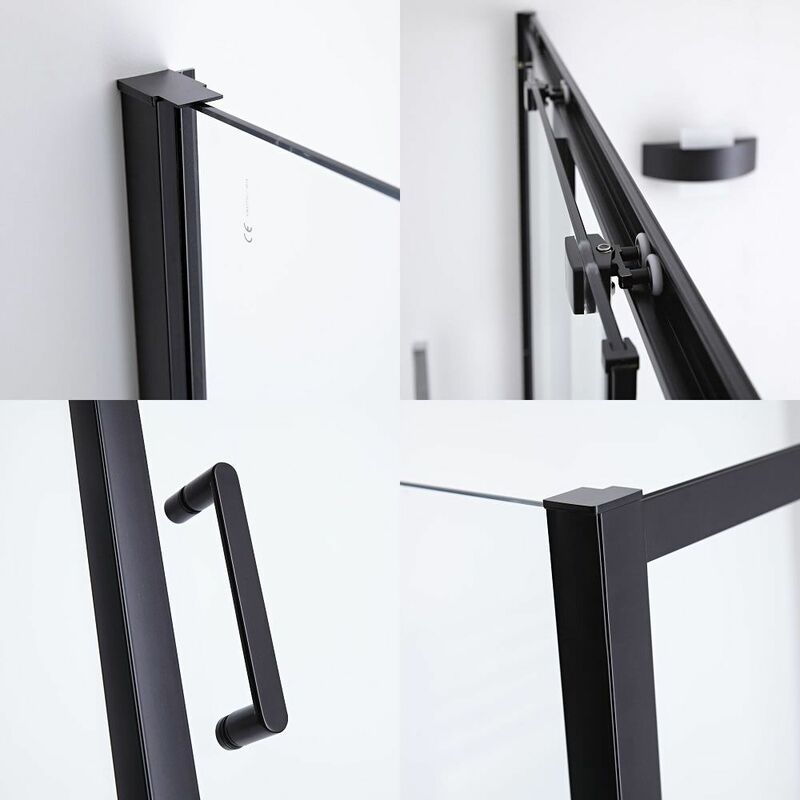 Measuring 1950mm in height to catch more splashes, the shower door and side panel have 6mm toughened glass with an easy clean protective coating. 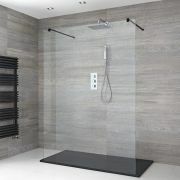 Supplied with the waste, the tough and durable 1500x900mm shower tray has a slate effect finish for a natural feel. 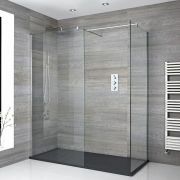 It has a hard-wearing surface and an SMC (sheet moulding compound) construction.